Valentine’s Day is fast approaching and we’re here to help! Not sure what to gift your loved one this year? Surprise them with the sweetest gift of all…COOKIES! Whether you’re shopping for your spouse, gal pal or your student who’s away at college, we have the perfect gift in mind! Two dozen cookies of your choice! We recommend a medley of Chocolate Chip, Dr. Midnight, Almond Joe and Dark Chocolate Cranberry. See our full list of flavors here. All you need is Love…and Cookies! Spending time with your gal pals this month? 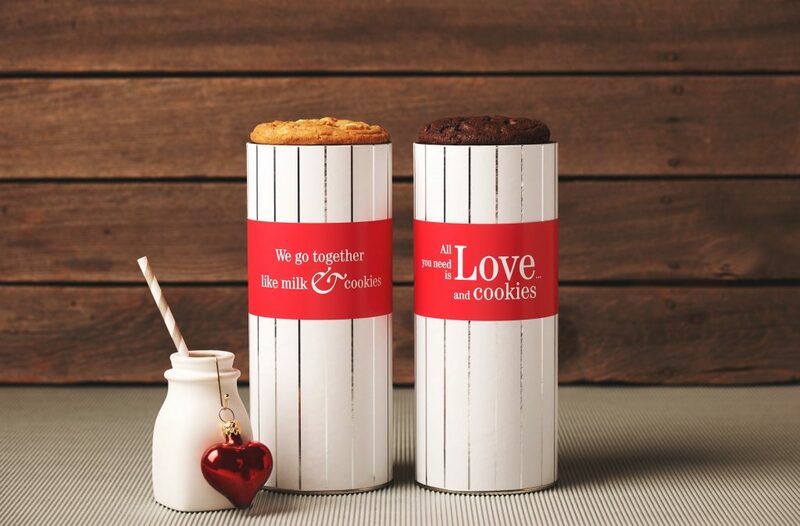 Show them your love with a box full of cookies! Our spunky gift item, Party in a Box, is a great way to do so. 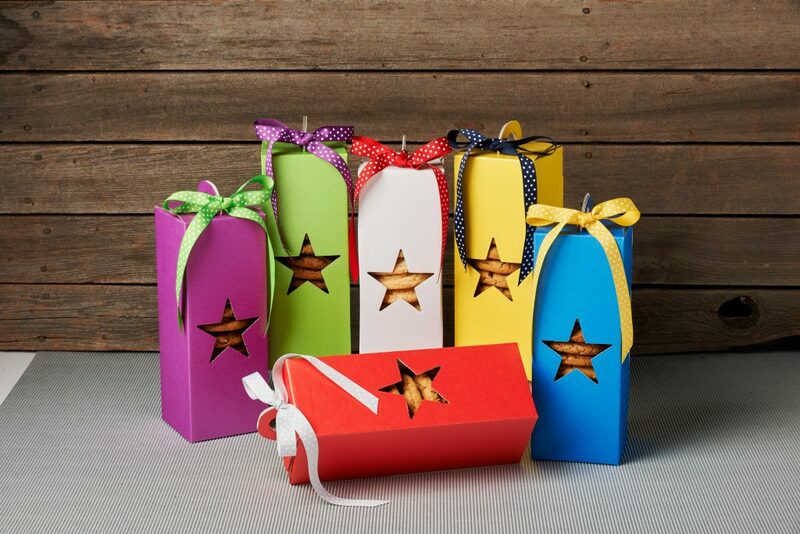 With lots of box and ribbon color combinations, you’re able to customize each box for your friends! To add a personal touch, you can attach a name tag. Target and Cost Plus World Market have great options! Galentine’s Day is Wednesday, February 13th. We’ve made it easy for you to order online! 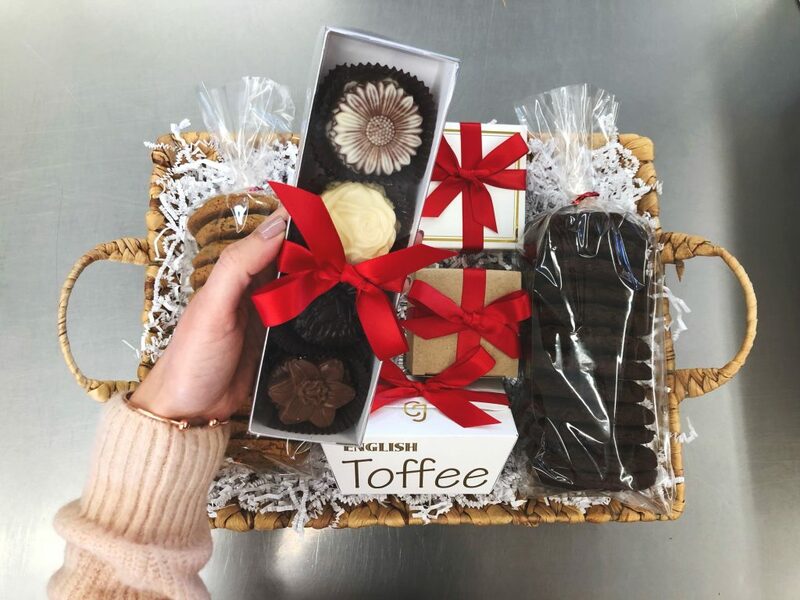 Simply select the cookies, add your personalized gift message and we’ll ship directly to your Valentine! You may also pick up your order at our bakery on Pacific Avenue in downtown Santa Cruz. Give us a call at 831-429-6905 for more information. View our Valentine’s Day collection HERE.